I’m not talking about an ebook give-away – though they are certainly useful. I am talking about an actual published book. I know when starting a business time is normally at a premium, as there is so much to do when starting and you are often still working a full-time job as well. So why is writing a book, along with all of your other time commitments important? 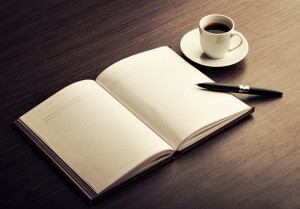 I am going to list five reasons why the entrepreneur or business owner should write a book. 1. It expands your market. Amazon is the largest paid search engine in the world. Once you are on Amazon and other book websites, your name is accessible to a very large number of people. Content is the new form of marketing and a book is the ultimate content item. It introduces people to your other services and if they really like your book, then they will seek out your other products and services too. 2. It raises your profile. Writing a book gives you authority in your area of expertise. By writing a book, it introduces you to your market as an expert. That expert status then can opens many opportunities (see point 3 below). A book really is the best business card you can have. When people want someone for interviews, to speak, consult or coach. They will generally look at those who have published in the area. 4. It’s a source of passive income. Don’t get me wrong, there are very few for whom a book makes them a living on its own. However, it can contribute significantly to your income, and the great thing is that once it is written and distribution channels set up, the income is largely passive and can continue to come in for many years. 5. Its affordable and achievable. While writing a book is difficult. My first book took me a long time and lots of editing before it was ready to be published. However, once you have your final pdf file, the publication of that file is now easy. Platforms, such as createspace enable publishers to publish their book with absolutely no set up cost and no need for stock inventory. Publishing a book has certainly never been easier. So why not start your book today, and take your business to the next level? Receive new blog posts and book reviews in your inbox, for free! Looking for an affiliate program?